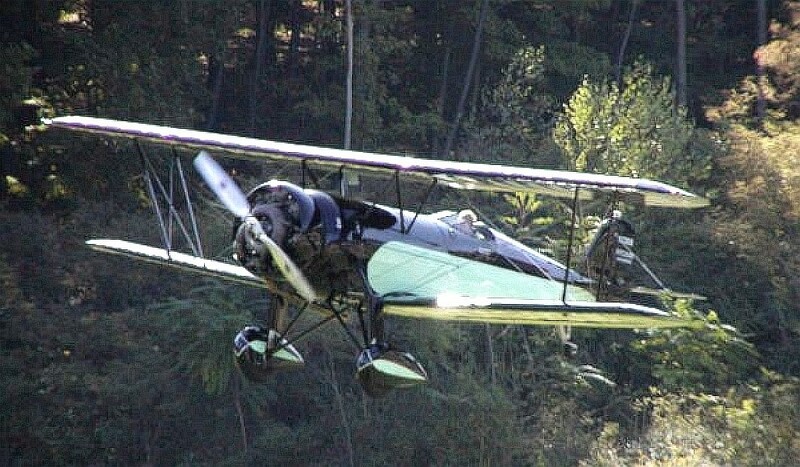 This plane is a 1929 Pitcairn Sport Mailwing similar to the one in "Riders of the Wind." 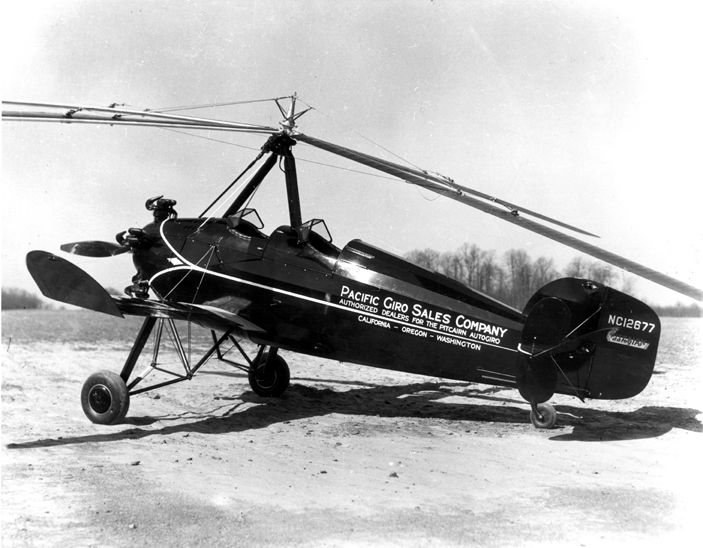 This aircraft is a Pitcairn Autogyro similar to the model described in "Riders of the Wind." 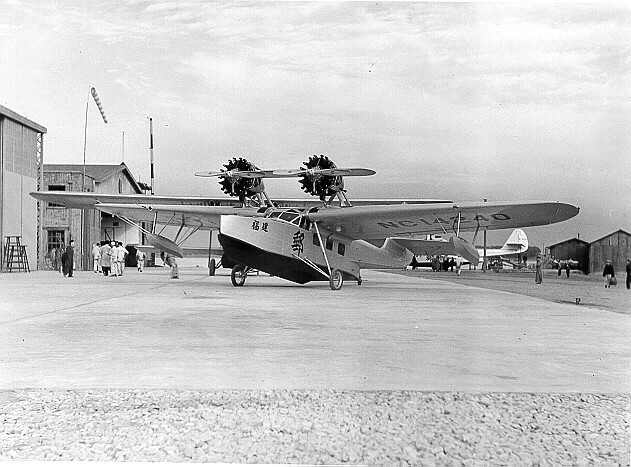 This is a Douglas Dolphin, perhaps on the ramp at Manaus, Brazil. It is similar to the one in the book, flown by Charlie Cross on river surveys in Brazil. 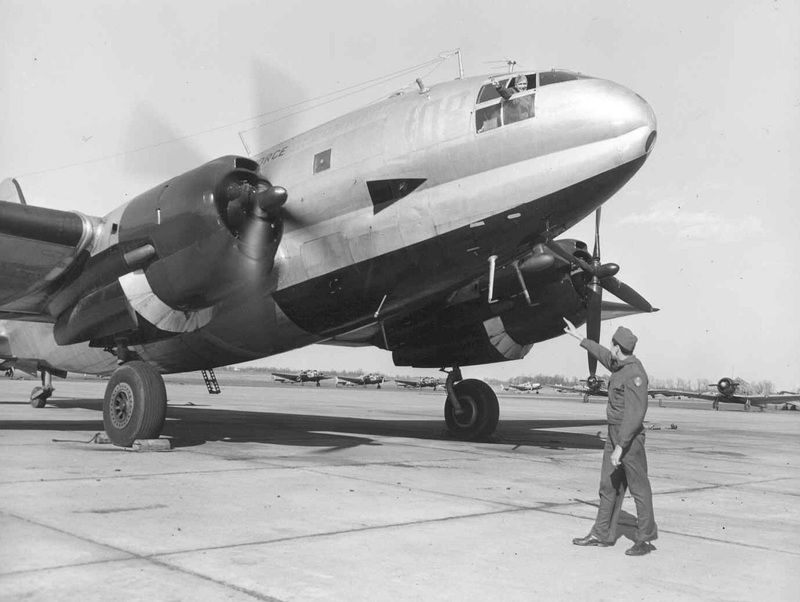 A 1937 Lockheed 10 airliner similar to the one in "Riders of the Wind." This type was also used by Amelia Earhart in her round-the-world flight on which she disappeared. A Curtiss C-46 Commando starting it's engines Ca. 1944. This type was used by Air Transport Command almost exclusively over the Himalayas on the Hump Operation and is one of the main characters in "Wind of Fate." Another shot of a C-46 during WWII, This one a flying ambulance. 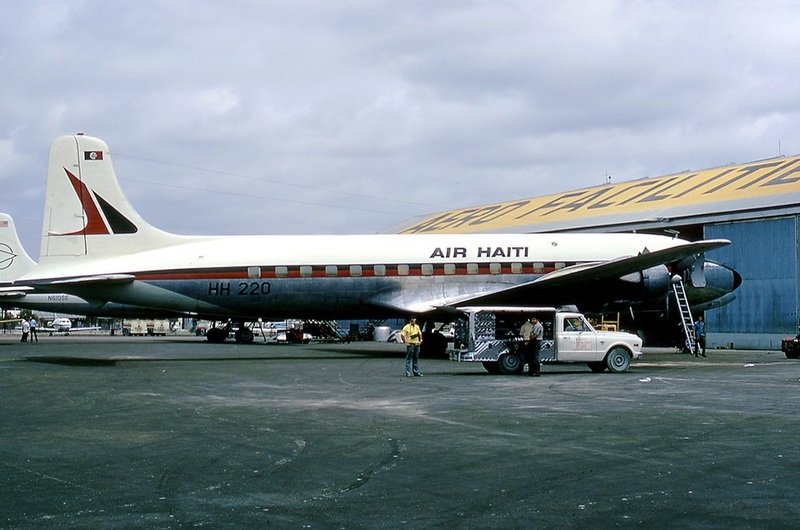 This is the aircraft I captained for Air Haiti for several years. It was retired to cargo usage some years ago. It is a Douglas DC-6, a lovely old airplane to fly. Civilian C-46 landing somewhere in China, Ca. 1956. 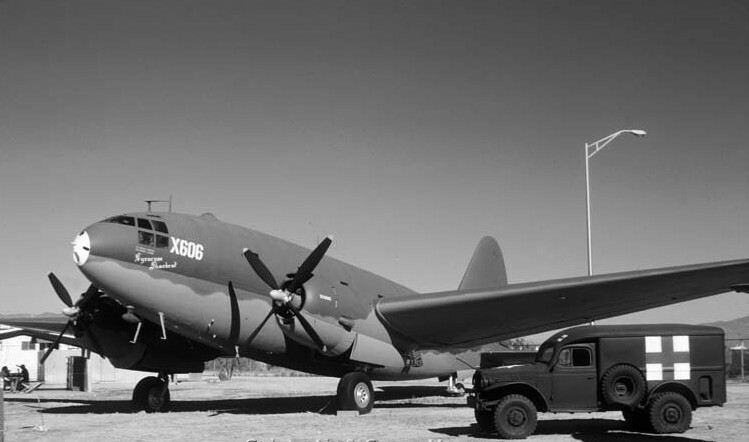 Many of these old military cargo haulers are still flying. C-46 "China Doll" landing at Kunming, Ca. 1945. 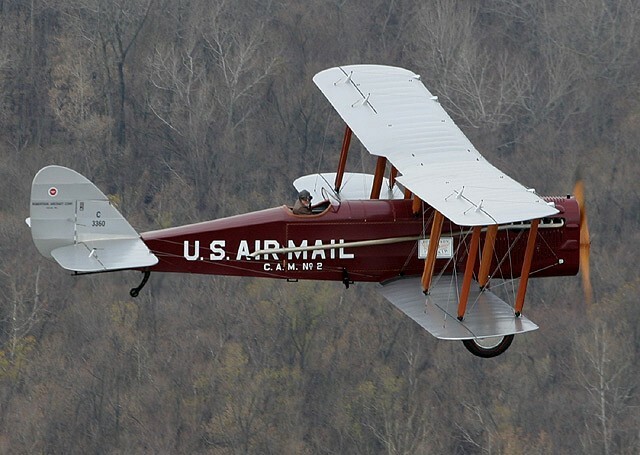 1924 Dehavilland DH-4 mail plane in flight. 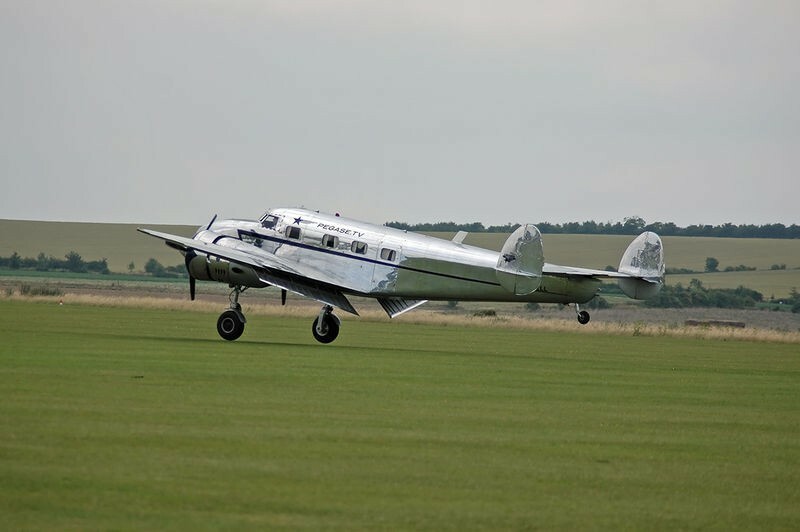 This plane has been completely restored to new condition and is currently flying. 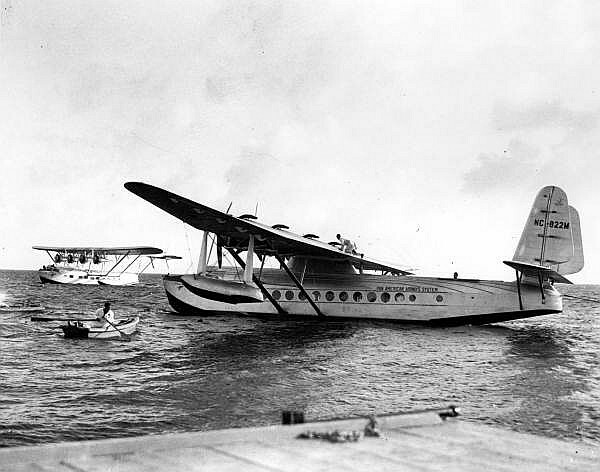 Sikorsky S-42 (foreground) Pan-Am "Rio Clipper" and S-40 (background) in Havana harbor Ca. 1939-1940. 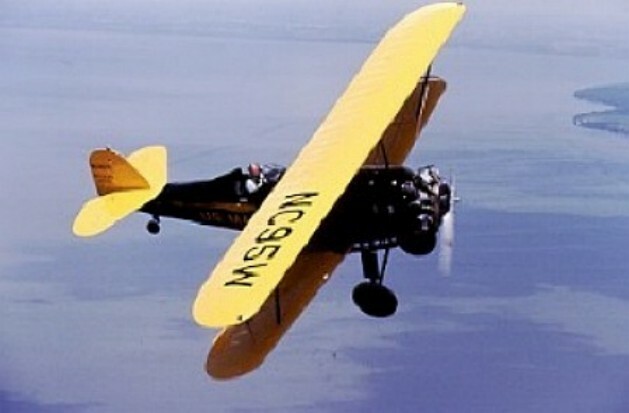 What it was like to fly on the S-42 as a passenger is described in "Riders of the Wind."